Death and injury are a fact of life that we attempt to avoid, however there are often circumstances beyond our control and we have to deal with these issues. Many times people are dealing with these issues due to negligence or outright disdain. Don’t be a victim of circumstance and let us help you take back control of your life. You might not need to work with a California car accident legal representative if your case is very simple and you didn’t incur much in the terms of damages. Most at-fault driver’s insurance provider companies cover liability; they offer to pay out your car damage claim, reimburse you for your medical expenses, and offer you a bit more on top of that to compensate you for trouble. However if the other driver’s insurance company is saying you were at fault for the vehicle accident, or if you suffered considerable injuries as an outcome of the crash, a lot more may be at stake, and it’s a smart idea to discuss your circumstance with a car accident attorney. An excellent vehicle collision lawyer understands how to manage the back-and-forth of settlement arrangement, the best ways to prepare for and avoid obstacles while doing so, and the best way to secure your rights at every phase in the case, including filing an automobile accident lawsuit in California’s court system if it comes to that. If you have actually been involved in an automobile accident in California, you’re probably wondering exactly what to expect if you choose to make a claim for injuries or seek payment for damage, from the best ways to deal with vehicle insurance adjusters to navigating the legal landscape if an accident claim is filed over the accident. Call today for a free consultation, we can help you sort out the mess. Motorcycle accidents are often considered harmful than when in a four-wheeled vehicle incident. This is because the danger of the motorbike rider sustaining significant physical injuries is greater than that of the driver in a auto or truck. 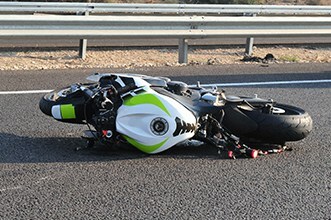 A fantastic number of accidents involving cars and motorcycles or object collisions, resulted in the rider of motorcycles being treated for critical or deadly injuries. Upland Bike accident lawyers are specialists in studying all the elements causing the mishap. It could be that another vehicle was at fault or the motorbike itself had specific mechanical problems that have been present from the time it left the factory. In the first circumstances, the legal representative could get in touch with the driver of the other automobile and express your objective in looking for settlement. Settlements could follow but if it will fail, then your legal representative can immediately submit a case against the motorist of the other vehicle. There are varied reasons for these accidents. It might be that the rider himself, or the automobile he collided with, is at fault. There is growing evidence that some motorbikes have manufacturing facility problems that could have been the main reason why its rider lost control. If you figured in this sort of accident, or have a loved one who did, then it would be appropriate to demand reasonable compensation for injuries you might have sustained. We can help you figure it out, call today for your gratis case consult, where we will help you get on the right path. Typically, pedestrian-vehicle accident cases hinge on the duty of care owed by those involved. Both motorists and pedestrians have to follow the policies of the road and exercise sensible care. In many cases, it might appear obvious who was negligent, however the courts take a look at many factors in using the facts to the neglect elements. A person who negligently runs an automobile may need to pay damages for individual and home damage caused by that carelessness. Whether injured by an automobile or property problem, a pedestrian may recuperate damages for the injuries suffered if somebody else’s carelessness caused or added to the event. Neglect is the failure to do or not do something that a sensible personnel in a comparable scenario would, to safeguard others from foreseeable dangers. To develop neglect in a pedestrian mishap, the hurt individual(s) has to show that the person(s) at fault. Pedestrians are a specifically vulnerable segment of traffic, which is why vehicle drivers need to accept people crossing the street or crossing the courses of vehicles. 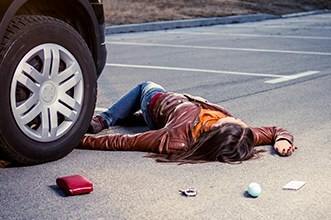 As with other traffic accidents, liability for pedestrian mishaps is based upon neglect. Although drivers do tend to take the blame for lots of mishaps of this type, pedestrians can still be liable under a teaching called “contributory negligence.” The best course of action in any case is to get professional consulting free of charge. At one time, California followed the rule that a person who had been bitten by a pet dog could not recuperate financial damages from the pet dog’s owner for his or her injuries unless the pet dog’s owner understood or must have known that his or her pet had actually bitten somebody else and thus had a “vicious nature” or “hazardous tendency” to bite humans. This was derisively known amongst legal professionals as the “first-bite-free” policy, as the canine was deemed to be docile and tame towards human beings and would not switch on a personnel and bite him or her for no reason. A canine is, after all, guy’s friend. This first-bite-free policy led to thousands of persons going uncompensated for their injuries, and the people of the State of California pressed their chosen representatives to alter the law. If you or a loved one has actually been attacked by a pet dog, or have been hurt as an outcome of a dog bite in California, it is very important that you know your legal rights. California follows the strict liability guideline when examining dog bite cases. This implies, that there is no such thing as “one bite guideline” or challenged liability. The pet dog owner is “strictly responsible” for the injuries caused by their canine. The law does not allow for a canine owner to conflict who was at fault, the pet owner is immediately responsible to compensate you for your damages. In addition to Civil Code section 3342, the owner or keeper of a dog can be held strictly responsible under traditional legal concepts, the “usual law”, if she or he knows or has need to understand that his or her pet, or the pet in his or her care, custody, and control, has a propensity to bite humans. In such a scenario, the canine could be kept just at the owner’s or keeper’s danger. The owner or keeper will certainly be held responsible for damages resulting if the pet dog bites someone, although the owner or keeper took all sensible steps and preventative measures to avoid the dog from biting a person, that is, that there was no neglect or lack of care on the owner’s or keeper’s part in keeping or attempting to limit the dog. The heart of the action is the owner’s or keeper’s knowledge that the canine possessed the propensity to bite people. Liability in this type of case is based not on the manner of keeping the vicious animal, but the keeping of it at all with knowledge of its vicious propensities. No worries, call us today and we will can discuss the merits of your case no charge. If you have suffered from falling, it will highly be in your favor to know your legal rights in order to get compensation for your injuries that is purely due to other’s negligence. There are a range of slip and fall mishaps that can take place on someone else’s home or business, to consist of wet or slippery surface area falls, stairwell mishaps, falls from a veranda, parking ramp falls, sidewalk falls, and bathtub/shower falls. There are two things that you should do instantly after the mishap, nevertheless, which is obtain any and all clinical treatment that you need and talk to a learned slip and fall mishap attorney about exactly what occurred. 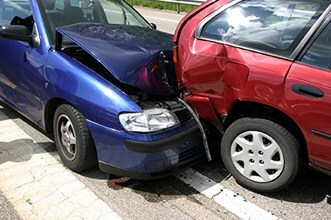 See to it You File an Accident Report, Take Pictures, and Protect the Evidence. 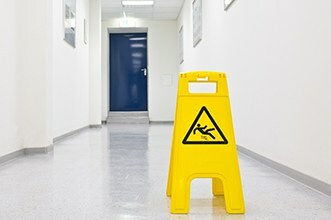 That said, all slip and fall mishaps are special; for that reason, it would be in your best interest to hire a slip and fall mishap attorney who can recommend you with regard to the details of your case. Generally speaking, property owners are required to keep their property in a safe condition for those who are invited onto their home. If it can be demonstrated that the property owner was irresponsible and knew, or must’ve understood, about the harmful or defective condition that triggered your slip and fall, you may be entitled to compensation for your injuries. Call today for a complimentary review of your case. A guarantee is a sort of guarantee or warranty that a product will carry out as marketed. It can be an express service warranty, that is, a standardized warranty recorded in writing, or an implied warranty, one which could reasonably be believed to exist from the nature of a sale. Infraction of these service warranties by an item which does not work as meant might be grounds for an item liability case. Unlike lots of other accident cases, where often only one individual or company is held responsible or liable for damages caused, product liability claims must commonly target a long chain of companies. This is because any offered item needs to go through a plethora of makers, distributors, and merchants before it comes into the hands of customers. Any or all of these companies could have contributed, caused, or failed to alert about risks or flaws in the product. A precise product liability claim need to be able to trace this path of liability through many levels of the production procedure and determine who, if anyone, is directly and lawfully responsible for the complainant’s injuries. Showing neglect is frequently an extremely intricate and laborious process. The great news is that many item liability cases are based on the much simpler doctrine of strict liability. This doctrine holds that a manufacturer is liable for any and all injuries caused by its products, whether or not it was negligent in producing them. Consultations are always free, so call today. Going through a medical malpractice suit is a major trouble for all parties included. It is time consuming and pricey, not to point out the psychological toll it can take on a person’s mind and body. Physicians put a good deal of energy into their work, and although they try all they can to provide for the requirements of their clients, in some cases errors take place. In some cases they could face a malpractice claim. 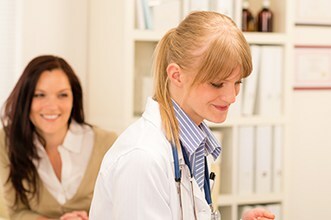 Doctors are still able to work and practice medicine throughout a malpractice claim. They can in fact still work even if found responsible in court. The exception is if records were falsified or the individual dedicated a grossly irresponsible act, which has actually caused him/her to be a threat to other patients. After a problem is submitted, there is a chance to challenge the accusations. The procedure now enters exactly what is called discovery. Both the plaintiff and defendant can perform their own investigation to discover everything about the accusations and defenses. During this time a deposition could take place where either party will be questioned. This helps an attorney prepare the case if it goes to trial. We may be able to help you settle your case without a costly trial. Call now for a free consult. 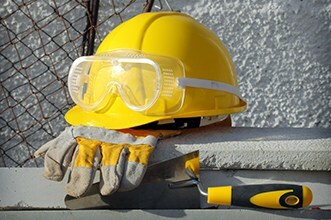 To gain workers compensation, the hurt worker does not, normally speaking, need to send out a written claim form to the insurer in order to get employees settlement. Instead of a written claim, when the insurer is notified of the injury by the employer, the employee, or a 3rd party agent, the insurance coverage company will offer provisional liability payments. These payments start within 7 days, in most cases. Throughout this time, the insurer will certainly examine the truths of the injury and the degree of the injury and decide either to continue the payments or to stop more payments. Rather of a composed claim, as soon as the insurer is notified of the injury by the company, the employee, or a third party rep, the insurance coverage company will provide provisional liability payments. During this time, the insurance company will check out the realities of the injury and the extent of the injury and make a decision either to continue the payments or to stop additional payments. In the event that a claim type is sent following the preliminary alert of the injury and the start of provisional liability payments, the insurance provider then has twenty-one days or up until the end of the provisional liability period to make a decision. The insurer, in this circumstances, can decide to extend the provisional liability duration for another four weeks, based upon the kind of injury and the level of incapacity. 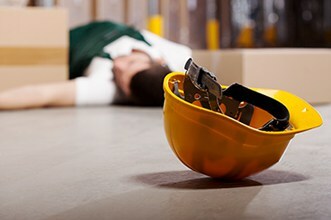 When a person is injured while on the job at a business that offers employees compensation, there is a certain procedure that has to be followed in order for the claim to be considered valid and lead to payments to cover the injuries and time invested far from work. Call today to get help with the correct procedure, free initial consultation.